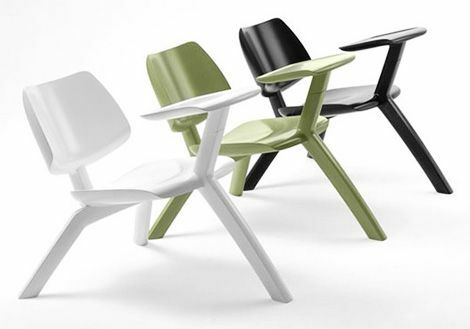 This new furniture design features a laptop pad built into a chair. No word on what the material is — I don’t know if it’s wood, or foam-coated wood, or plastic, but I think the design is really neat. 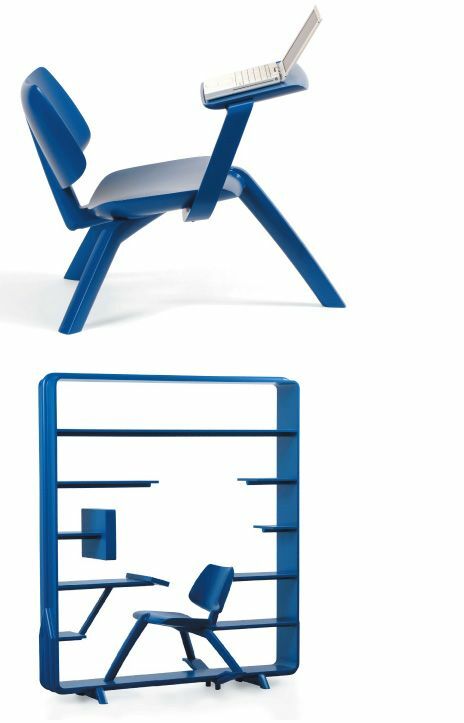 As you can see below, there’s a chair built into a cabinet as well, which means you’ll have an all-in-one unit where you can sit, use your computer, and store your books and other stackable media. 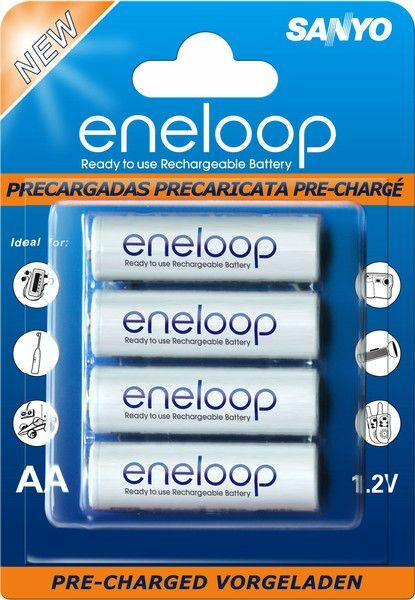 The Sanyo eneloop batteries have a very low discharge rate, unlike other rechargeable batteries, which means they’ll still retain up to 85% of their charge, even after 1 year. They also come pre-charged from the factory, which means they’re ready to use, right away. And they can be recharged 1,000 times or more. Sounds like I need to get some of these batteries myself. My Energizer rechargeables have no charge left at all after they’ve spent a 2-3 weeks in their storage case. 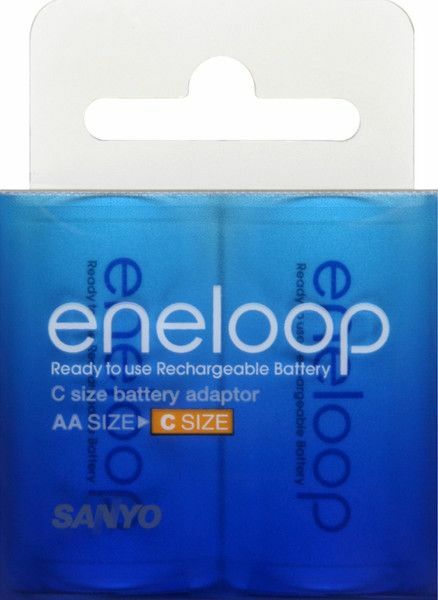 The eneloop batteries come in AA and AAA sizes, and should you need them, they have adaptors for C and D sizes as well. The concept is so simple, and yet that’s what makes it cool. 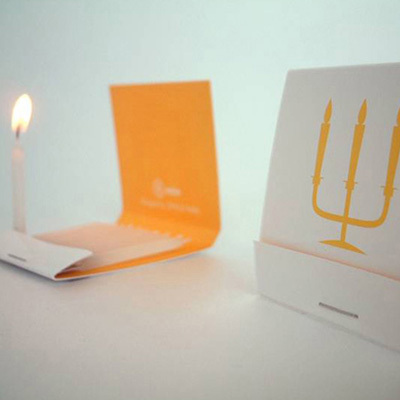 These are mini-candles packaged in a small matchbook. There are ten of them in each book. Carry them with you for any special occasions. They can be stood up inside the package or placed on a cake. A pack of 4 matchbooks at 10 candles each (40 candles total) sells for $6 from Pokito. 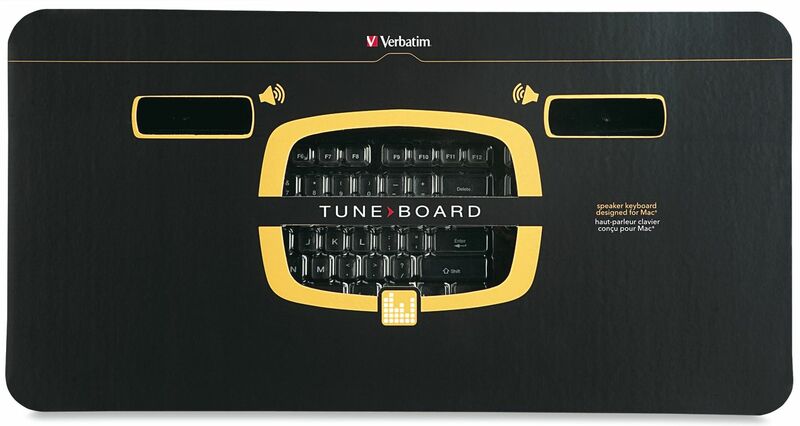 Verbatim has a new keyboard that will work with both Macs and PCs. The neat thing about it is that it has built-in speakers and backlit keys. 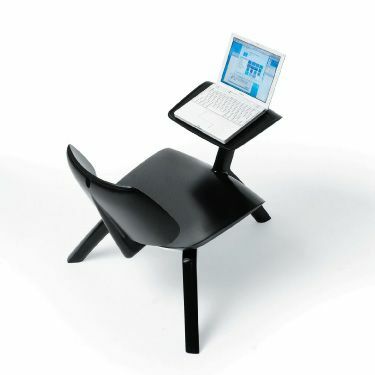 The built-in speakers will reduce the clutter on your desk, and the backlighting will let you type accurately at night. 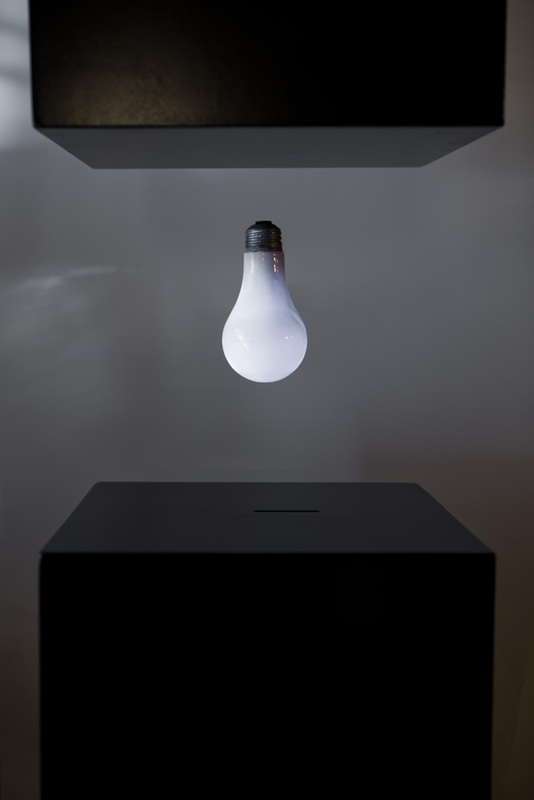 The levitating light bulb is a project that uses Nikolas Tesla’s wireless power transfer technology, invented in the 1890s. The bulb and the casing contain hidden circuitry that uses electromagnetic feedback to keep the lightbulb in the air, approximately 2.5″ from the lower surface, while also transferring electric power to it wirelessly. As you can see from the demo video on YouTube, the technology isn’t perfect, and the light isn’t constant, but it’s still a wonderful step forward, and as a science project, it’s very interesting. 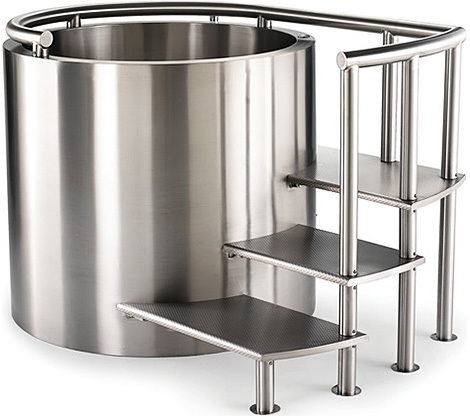 A Japanese-style hot tub that looks like a cooking pot. It’ll set you back a pretty penny with its $20,000 price tag, but if you’re a spender with a lot of money, what’s $20K… On the plus side, it’s built of a 14-gauge steel and chromium alloy, and has insulation built into its walls, so it retains the water temperature. I like the design, but it’s too much for my wallet. 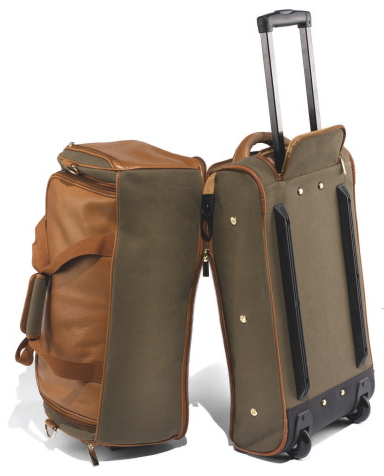 This rolling duffel bag is actually made of two parts: a regular duffel bag, and a lower part, which contains the bag frame and rolling wheels. You zip them together when you enter the airport, and when you reach your seat on the plane, you zip apart the top, which can be stowed under the seat, and put the bottom part in the overhead bin. 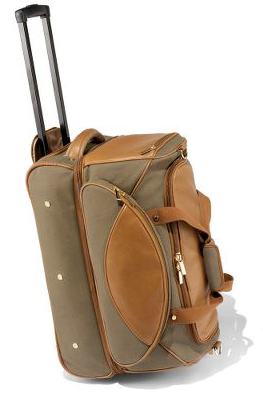 This allows you easy access to the various items you may need during the flight, such as snacks, a pillow, or a book. It’s a great idea.